One downside (or perhaps it’s an upside?) of working at Swrve is that most of us no longer simply enjoy apps for their own sake. Instead we’re constantly looking out for well-executed campaigns and slick user experiences, grabbing screenshots and sharing them around the office so we can all learn from best practice. 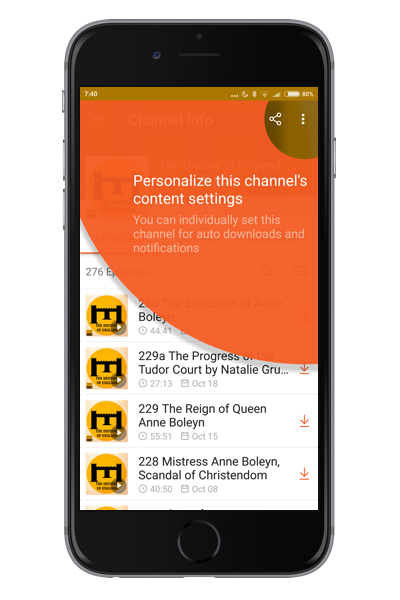 A nice recent example was provided by CastBox, the podcast app - which I recently downloaded as part of a long-term project to find a clean, simple, and easy-to-use mobile app for podcasts (trust me, it’s harder than it looks). As part of my first few sessions the app delivered a number of smart and effective screens that helped to ensure I got the maximum value from the app and as a result remain engaged - users not remaining engaged being of course an ongoing problem for mobile businesses. Take a look at the screen below for example. This campaign was shown the first time I entered a specific podcasts and, without removing me completely from the context I was already in (the overlay animates across the page), lets me know exactly how to manage the settings for any individual podcasts and allows me to set notifications when new episodes are posted - a classic example of getting users to agree to receive notifications by pitching them as a benefit rather than a favor. 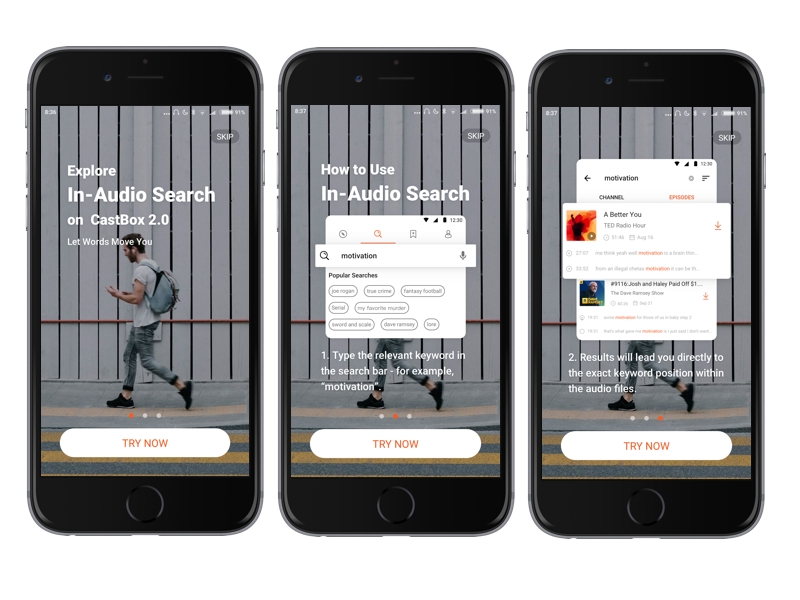 Perhaps even smarter was a multi-screen feature discovery experience that introduced me to “In-Audio Search” - a feature that I had not yet used. Almost in the same way as an onboarding process, an initial screen publicized the feature and I then swipe to find out how to use it in two easy steps - always with the invitation to “Try Now”. Feature discovery is incredibly important for apps like these. Long term retention relies on users getting full value from a product or service, and that only happens when they know about and can use all the elements of the product they may be interested in. That doesn’t just happen, it is smart campaigns like these, ideally targeted at users based on their prior behavior, that get the job done. It’s a nice feature by the way. I recommend it!